Lawrence Wilkinson is Chairman of Heminge & Condell (H&C) and Co-Founder of Global Business Network (GBN). Through H&C, Lawrence is involved in venture formation work, and as a director and counselor to a number of companies that he helped create, among them: GBN, Ealing Studios, Design Within Reach, Mercantila, and Character. At the same time, Lawrence continues to offer strategic counsel to a number of corporate clients and governments around the world. Named a “Jedi Knight of Innovation” by Fast Company, Lawrence is a widely consulted and cited authority on strategic issues; he is a frequent speaker in public, industry, and corporate settings, and is active in a variety of not-for-profit organizations. Lawrence co-founded (in 1987), and served as President (through 1998) of Global Business Network (GBN), an Emeryville, California-based strategic consulting firm (now part of the Monitor Group), where he remains of counsel as a Network member and strategist. Lawrence and GBN have been central to the development and spread of the Scenario Planning technique, an approach to addressing very important decisions and very long time horizons that has become a critical component of organizational and project planning worldwide. Lawrence’ advisory work concentrates on strategic positioning issues and on product, service, and market development, primarily in the publishing/media/entertainment and marketing, financial services and finance, retail, and logistics , and technology arenas. His clients have included the Walt Disney Co, Pixar, NBC-Universal, Viacom/CBS/MTV Networks, Pearson, Microsoft ,IBM, Accenture, Hewlett Packard, Intel, GE, AFD/The Capital Group, Proctor & Gamble, Johnson & Johnson, The Coca-Cola Co., Diageo,, PBS, NPR, John Wiley & Sons, British Telecom, ATT, UPS, the World Bank, The World Trade Organization, the World Economic Forum, The Rural Development Institute, and the governments of the United States, the United Kingdom, and Singapore. Lawrence has authored several of the GBN Scenario Books, led GBN’s work on the Future of Marketing, The Future of Media, The Future of Brands, the Future of Design, the Future of R&D, and the Future of Retailing, and has designed and directed or co-directed a number of GBN’s major meetings—most recently, The Future of Money and The Future of Risk. Lawrence serves as Director and Advisor to Ealing Studios, Ltd. Ealing, which celebrated its Centennial in 2002, is the oldest continuously-operating film studio in the world. Lawrence also served as a Vice-Chairman of Oxygen Media, Inc., a cable television programming service that he co-founded in June of 1998 with partners including Geraldine Laybourne, Oprah Winfrey, Carsey-Werner, and Disney, providing a cable television service reaching over 70 million households in the U.S. and award-winning web services (www.oxygen.com, www.oprah.com). He co-conceived the company, and led Oxygen's planning and formation. Oxygen was acquired by NBC-Universal in late 2007. Lawrence also helped form, then served as Director and Chief Architect of Wired Ventures, the partnership that built and managed Wired Magazine, Wired Digital//HotWired, and other ventures. And he helped form and serves as a director of Design Within Reach (DWRI, Nasdaq). 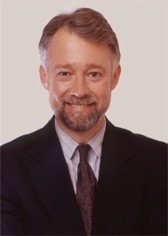 From 1984 to 1990, Lawrence was President of Colossal Pictures, an award-winning film, television, and digital entertainment and commercial production company. Lawrence oversaw all activities of Colossal, its USFX division and Big Pictures subsidiary, and its affiliated companies (e.g., Pixar and Konnick) globally. Prior to joining Colossal, Lawrence was the managing partner of Wilkinson and Associates, a consulting firm offering counsel on business strategy and venture formation to such clients as Sony, W. H. Freeman & Co./Scientific American, and COMSAT/STC. Lawrence was instrumental in founding Business Times, a pioneering cable and radio financial news service that spawned such “children” as CNN/fn and The Wall Street Journal Report. In 1983, he partnered with Tom Peters to create Excel/Net, a multimedia management program still in use at companies around the world. From 1979 through 1981, Lawrence was Senior Vice President of KQED, Inc., San Francisco (KQED-TV and FM, KQEC-TV, and San Francisco Focus, the area's largest "city" magazine), where he directed all planning, production, marketing, and publishing activities. From 1976 to 1979, he was director of planning and marketing for the Educational Broadcasting Corporation (WNET-TV, New York City). Lawrence has authored and edited numerous publications and Harvard Business School case studies ranging from Public Broadcasting in the U.S. (Harvard Business School Press) to The Cambridge Milton (Cambridge University Press), and is the author of “How To Build Scenarios” (Wired, 1995). He has produced and executive-produced numerous television programs, multimedia titles, and feature films, including the award-winning Crumb (Sony Pictures Classics). He also has contributed regularly to general and business periodicals and national television, cable, and radio business news programs, including Wired, Backstage, Business Times, Nightly Business Report, and The Wall Street Journal Report. His articles and essays have been anthologized in a number of collections, most recently in Strategy Bites Back (edited by Henry Mintzberg, et al., Pearson/Prentice-Hall, 2005). Lawrence is a frequently featured speaker at business and industry meetings, has taught on the faculties of The World Economic Forum’s annual Davos Summit, the Microsoft CEO Summit, and various business and graduate schools, and has served as a McKinsey Prize judge. Lawrence graduated with honors from Harvard Business School, Oxford University, and Davidson College. In addition to serving as Chairman of Heminge & Condell, Lawrence is a Director of Ealing Studios, Ltd., Design Within Reach, Character, Lieberman Productions, Row Eleven Wine Co., and Mercantila; he is an Advisory Director of Expo-TV and Chumby. He has served on the boards of Wired Ventures (acquired by Conde Nast), Brøderbund Software (acquired by The Learning Company), GBN (acquired by The Monitor Group), Direct Medical Knowledge (acquired by WebMD), Oxygen Media (acquired by NBC-Universal), and Colossal Pictures. He is a member of the Board of Visitors of Davidson College; a Advisory Board member of both the Bodleian Library’s “Library of the Future” Project and MIT’s Center for Transportation and Logistics; and sits on the Boards of The Pacific News Service, New American Media, Public Radio International, Public Interactive (the not-for-profit that provides web services for public broadcasters nationwide), The Institute for the Future, and Common Sense Media (a non-profit group that he co-founded); he served for years as Vice Chair of the San Francisco Film Society/San Francisco International Film Festival. and the Economic and Social Research Council. Esther holds a DPhil in Ancient History from Oxford University and has been awarded a research fellowship in Ancient History by the Leverhulme Trust to research her second book. Her first book, Oracles, Curses, and Risk Among the Ancient Greeks is published by Oxford University Press. She can be reached at esther_eidinow [at] yahoo.co.uk.